There’s been a huge transition on the national stage. The curtain has closed on one act and opened on another. There’s a whole new cast of players, and no one’s sure where this plotline is headed. Not to say that the audience is always sitting still to find out. This hour, we’re going to talk to artists who’re standing up with their art. Trump Inspires a New Era of Protest Music - 1:53 Donald Trump's inauguration party featured musicians like Toby Keith playing the Lincoln Memorial. But alongside the celebrations and demonstrations across the country, there’s also signs that a new era of protest music is brewing in the Northwest, from Portland's Kyle Craft (who's usually more Bowie than Guthrie) to Seattle's Death Cab for Cutie, Wimps, and Tacocat. Margaret Jacobsen - On The Front Line - 5:43 The Portland branch of the Womens’ March on Washington had a rocky start, with some group members feeling like the original organizers weren’t doing enough to make everyone feel welcome. Many group members perceived Margaret Jacobsen, who is African American and identifies as genderqueer, as a unifying figure, and Jacobsen stepped up. The Slants Meet the Supremes - 9:00 This week, the U.S. Supreme Court heard arguments on the U.S. Patent and Trademark Office’s dispute with Portland dance-rock band The Slants. It's a legal fight that's taken eight years to play out, as the band has tried to trademark its name and the PTO has pushed back, saying it's a racial slur. The Many Voices of Eliza Jane Schneider - 13:47 For five years, Eliza Jane Schneider voiced most of the female characters on South Park: Wendy, Shelly, Principal Victoria, Mrs. Cartman, the Mayor. She’s created characters for A-list feature films and video games, and to top it all off, she writes and performs award-winning plays and one-woman shows. For the Fertile Ground Festival, she’s premiering a one-woman show called “Displaced,” where she channels dozens of displaced individuals she's met around the world. All the World's a Clown - 23:52 Michael O’Neill is a clown, big shoes and all. In his newest one-man show, “Shakespeare’s Fools,” he links together 12 characters from eight of the Bard’s plays in a single hour. O'Neill also told us about his journeys around the world bringing laughter to disaster-ravaged places with Clowns Without Borders, and then talked with us about the legacy of Portland's most famous borderless clown: Ben Linder, who was killed by Nicaraguan Contras in 1987. The Making of a Harrowing Expedition, On Stage - 33:05 Everyone knows the story of Lewis and Clark’s expedition, but did you know that shortly after the Corps of Discovery returned, Thomas Jefferson and the millionaire John Jacob Astor organized a second expedition — this one by land and by sea — to create America’s first settlement on the Pacific Ocean? The writer Peter Stark recounted both harrowing journeys in his book “Astoria: John Jacob Astor and Thomas Jefferson's Lost Pacific Empire: A Story of Wealth, Ambition, and Survival.” It's the subject of the new play "Astoria" at Portland Center Stage through Feb. 12, and interview the only woman in the cast, Delanna Studi. 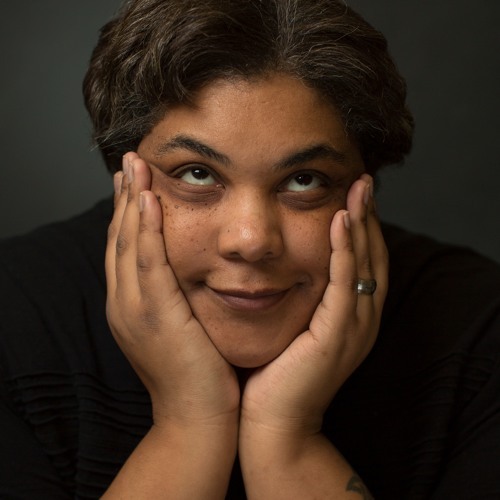 Literary Powerhouse Roxane Gay - 39:49 Roxane Gay is one of those writers who seems comfortable in every genre. She’s a novelist, a short story writer, an essayist, a pop culture critic, and a comic book writer. Despite the medium, though, she often returns to certain through-lines: the horror and pervasiveness of sexual violence against women, the challenge and necessity of feminism, the power of resilience, and the leavening agent of humor. Gay made a big splash in 2014 with her essay collection “Bad Feminist,” and she spoke with Think Out Loud about her new short story collection, “Difficult Women."